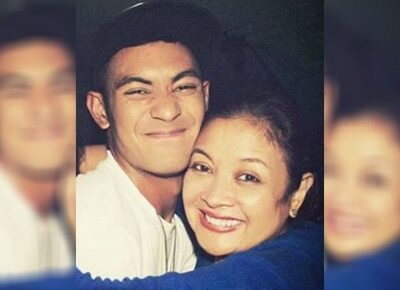 After the issue of Gab Valenciano and Tricia Centenera’s separation made headlines, Gab’s mother Angeli Valenciano broke her silence and issued a statement to ABS-CBN News reporter Mario Dumaual. The separation issue sparked when Tricia posted a cryptic message about ‘cheaters’ on her Twitter. Read: Have Gab Valenciano and Tricia Centenera called it quits ? Earlier this week, the fashion blogger admitted that it was Gab who asked for a divorce and she wasn’t the one who was unfaithful in the relationship. Celebrities like Lauren Reid and Alodia Gosiengfiao are being linked to Gab but the two women vehemently denied the accusation they are the cause of the couple’s separation.